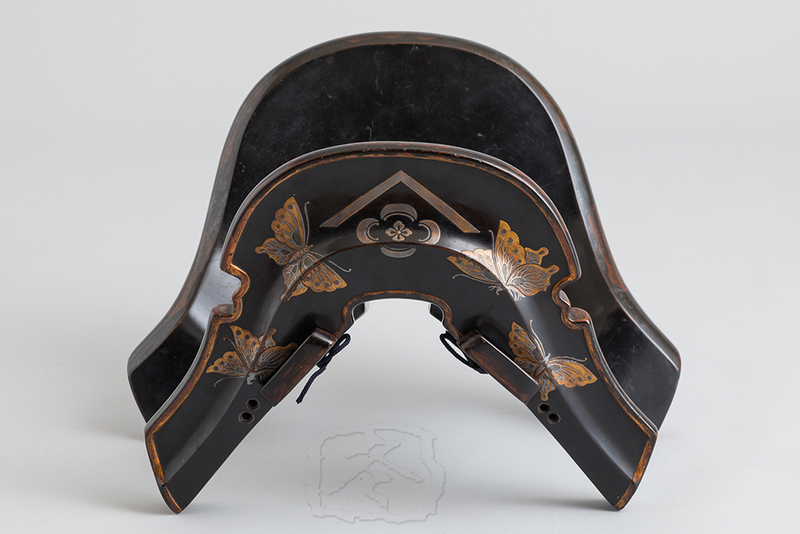 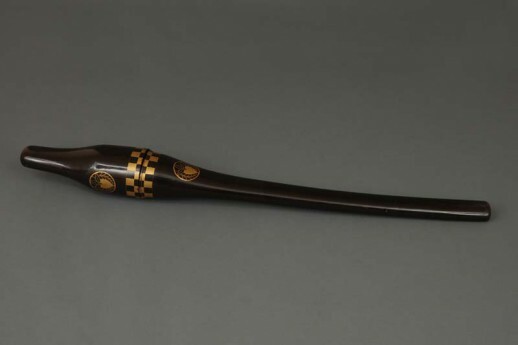 This heavy and robust saddle is lacquered black and decorated with four butterflies in ‘taka maki-e’ lacquer technique and ‘yamagata mokko’ heraldry on the ‘maewa’ (front part). 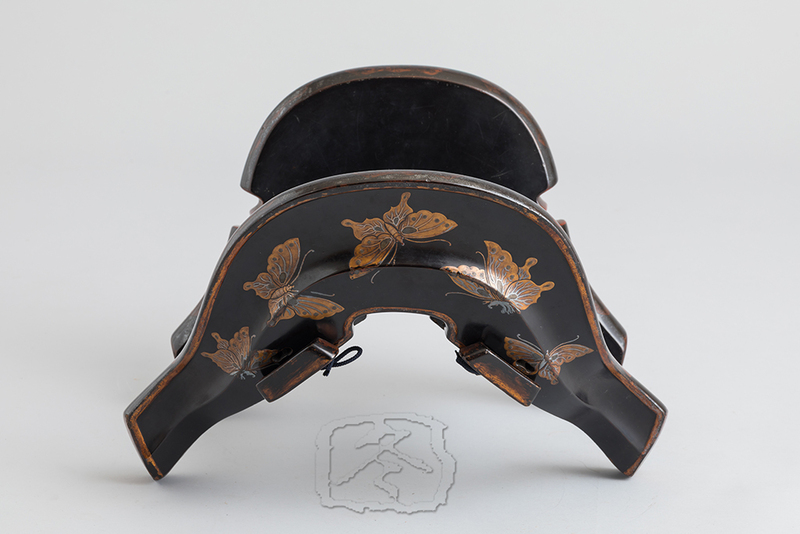 On the rear are five more butterflies also in ‘taka maki-e’ lacquer. 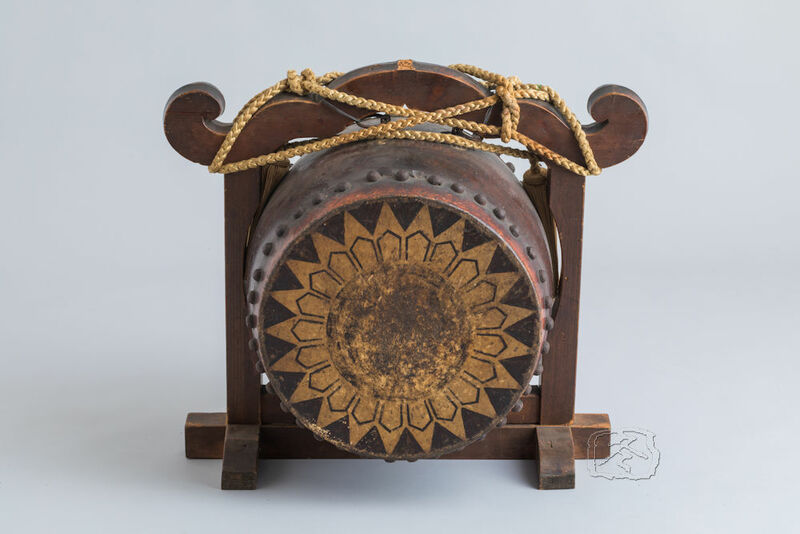 The edges are trimmed in gold leaf with ‘nanban’ floral designs. 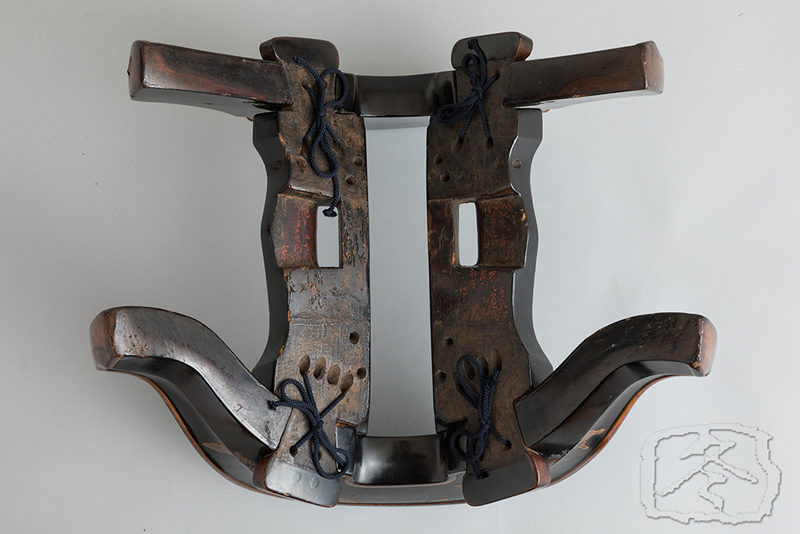 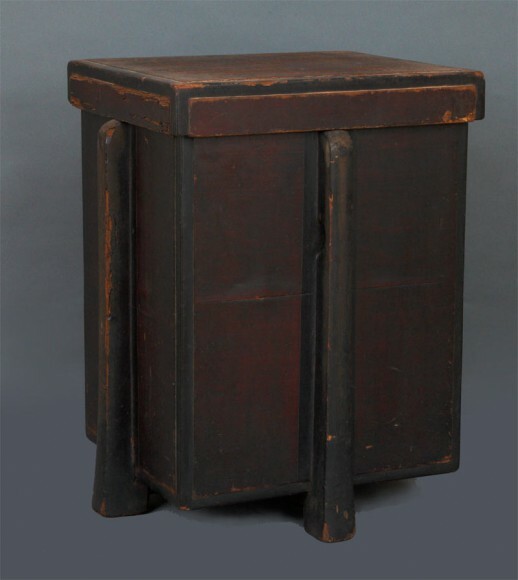 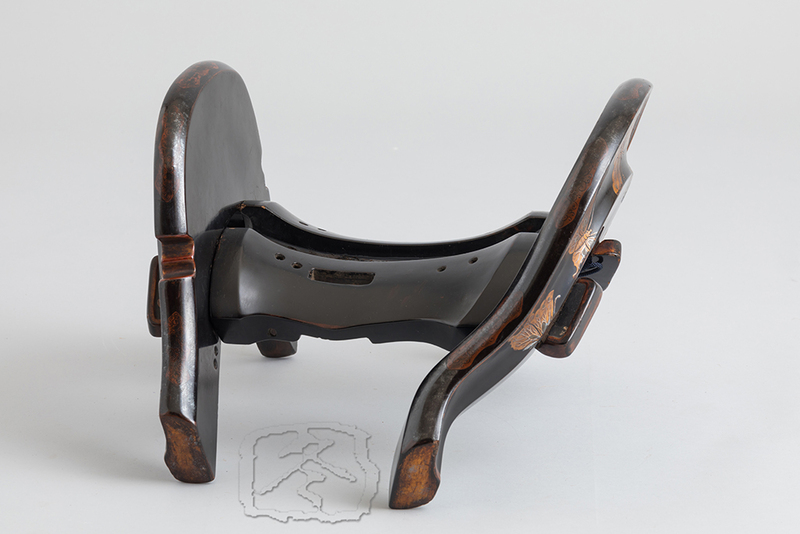 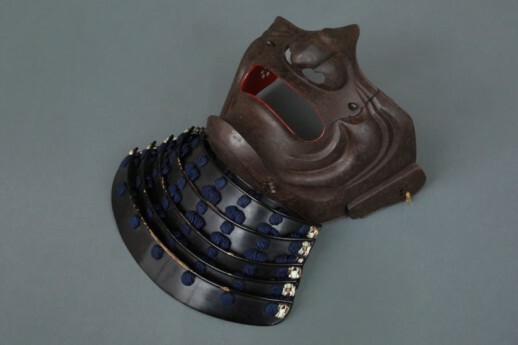 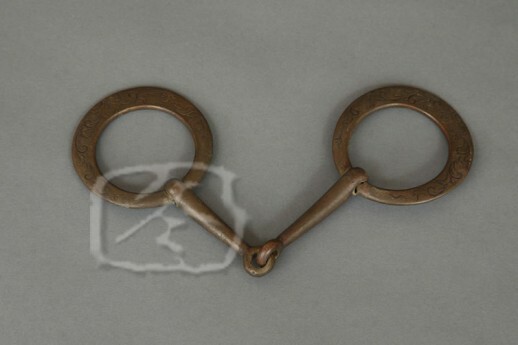 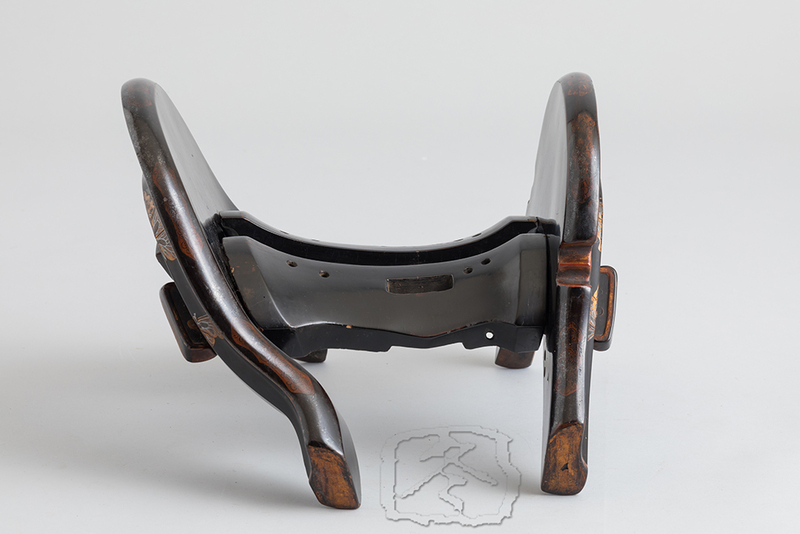 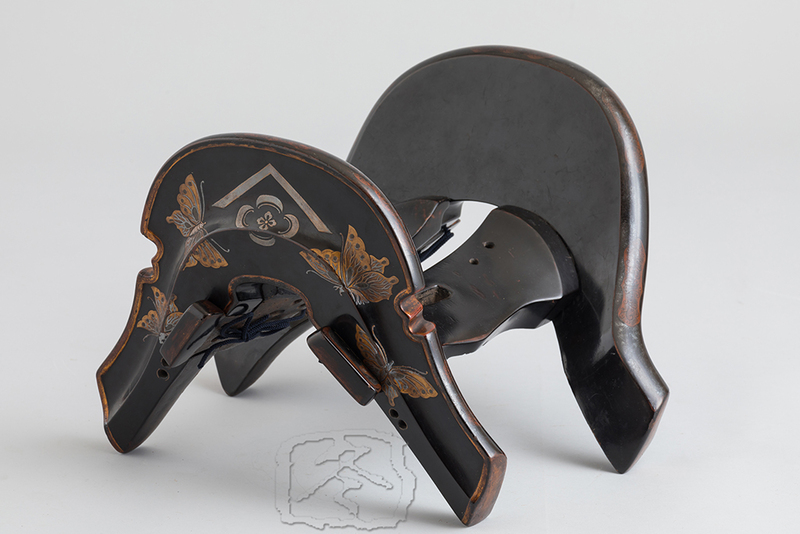 This type of saddle is very deep and sturdily built for battle, using wood much thicker than later Edo period designs. 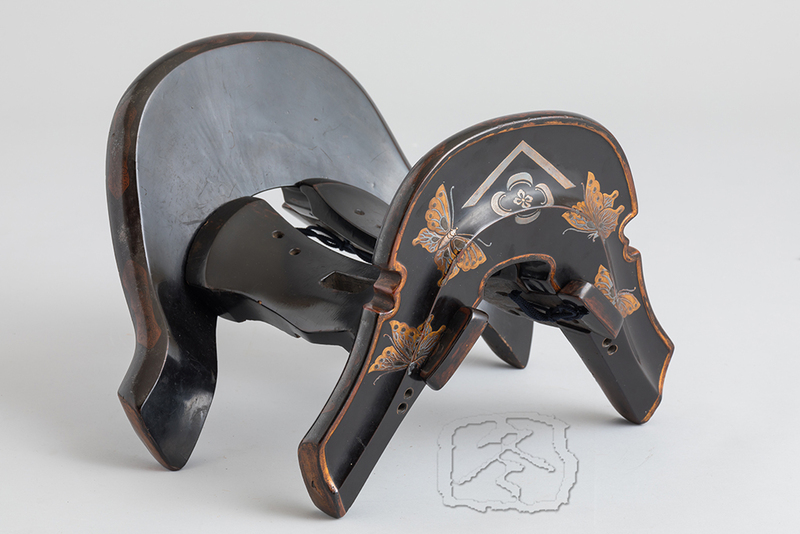 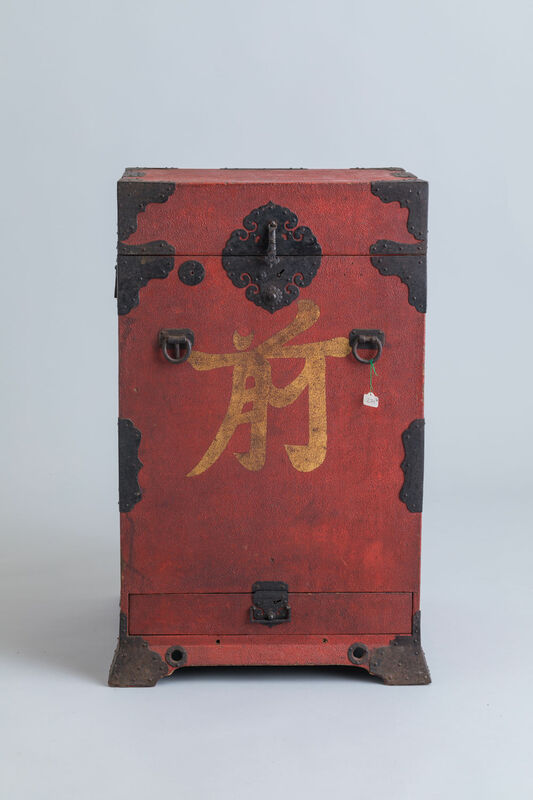 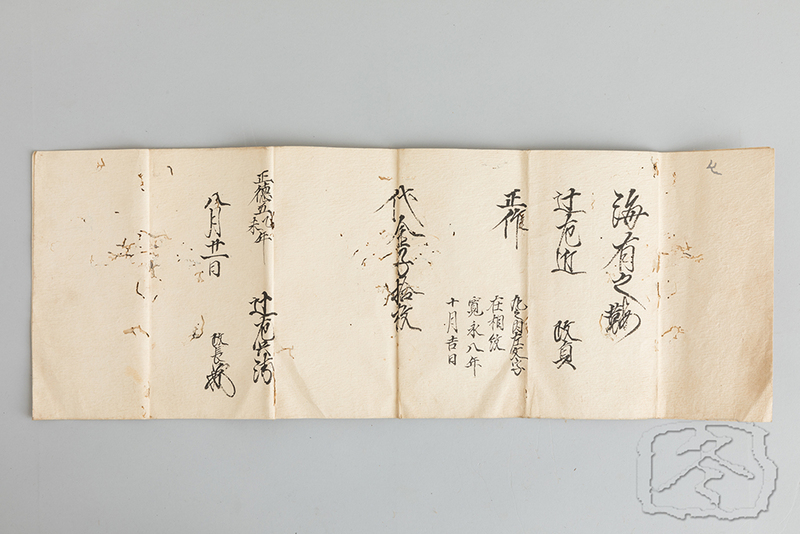 A certificate dated 5th Year Shotoku (circa 1715) accompanies this saddle declaring its value at ten ‘oban’ (the largest denomination of gold piece at the time). 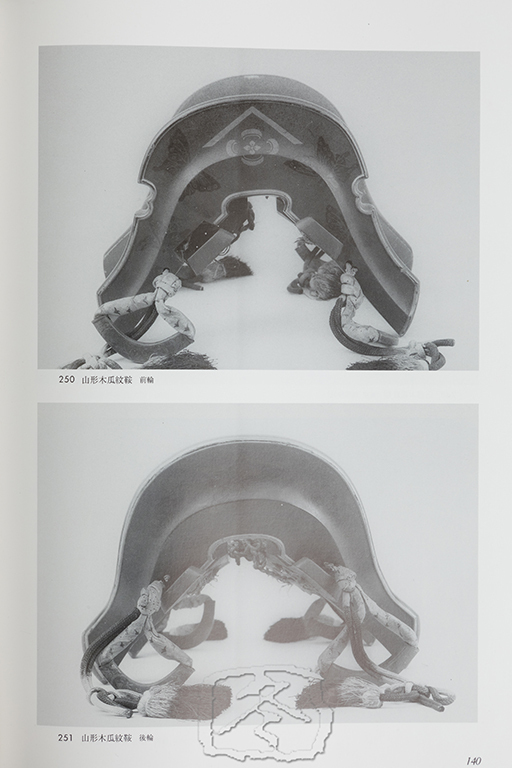 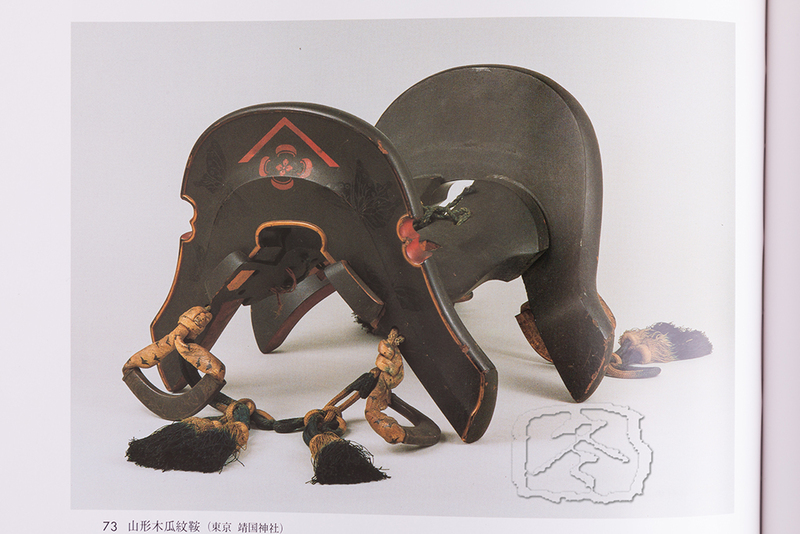 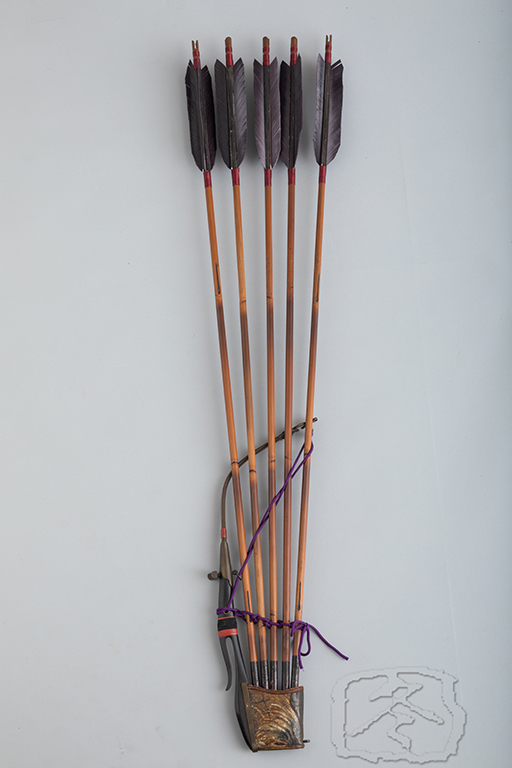 An identical saddle is published and illustrated in ‘Nihon Bagu Taikan’, volume 3, pg139-141 and is enshrined at the Yasukuni Jinja in Tokyo.